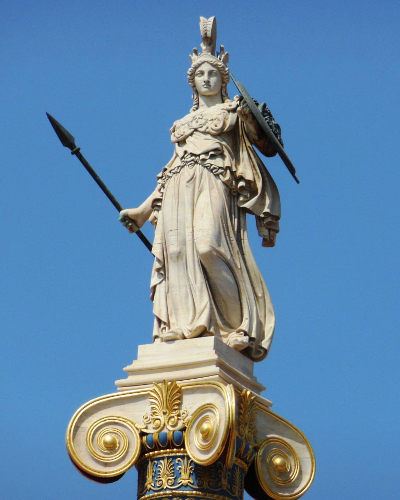 Minvera, Roman Goddess of War and Wisdom. DOD's Minerva Research Initiative will fund new research at DySoC. KNOXVILLE—The Arab Spring, the collapse of democracy in Turkey, civil wars in Africa, and continued violence in Afghanistan, Syria and Iraq—imagine the possibilities if we could truly understand the socio-political forces at play, make better predictions about when violent outbreaks might happen and thus better assess the resilience of human societies to political instability. That is the thrust of new research by NIMBioS Associate Director for Scientific Activities Sergey Gavrilets who was recently awarded a three-year grant from the US Department of Defense's Minerva Research Initiative. Gavrilets also directs of the Center for the Dynamics of Social Complexity (DySoC) at NIMBioS. The project, "Integrating structural theories of revolution with evolutionary models to predict societal resilience and (in)stability," will develop new mathematical modeling tools to investigate political revolutions and the resilience of human societies to shocks. The research will use data from Egypt, Ukraine and Saudi Arabia to validate the models and test predictions. The results are expected to have wide-ranging applications to a number of different fields, including evolutionary biology, anthropology, psychology, economics, organization research, political science and history. "To make our world a better place, we need to understand how social institutions and societies emerge, function, and break down, the role that actions and beliefs of individuals play in these processes, and what factors motivate and control human behavior and their changing preferences," Gavrilets said. "This project really gets to the heart of some of these pressing scientific questions." Established in 2008 with funding of $50 million, DOD's MINERVA project partners with universities to "improve DoD's basic understanding of the social, cultural, behavioral, and political forces that shape regions of the world of strategic importance to the US."